Forgetting my new pair of binocs was not something willed upon but New Year 2012 was approaching and as the hump-jump was everywhere, the sky was absolutely something to be forgotten about. Do, you think the sky can be just something taken for granted and not taken care about? Obviously, for the half of my life I had never taken any interest with the sky, nor does the mass of dumbed down populace. So why this sudden rush to understand the sky now?? The sky has been always there, neither it is so “enchanting” nor “magnetic” but our eyes are so riveted to our laptop screens or our TV sets that we have almost no time to care for what’s happening above us. Or, to just even ponder about a sky so beautiful with all its mysteries there waiting to be explored upon. The creation of the heavens and the earth is indeed greater than the creation of mankind; yet, most of mankind knows not. At 12:00 a.m midnight, around the world as it is, the festivities started with the fire works show. In Mauritius, at the peak of the Signal Mountain this fireworks time-lapse was taken. Unbelievingly, by one in the morning of January 2012, everything quietened up. The night was still. No stirring up of even the leaves on trees around. I am still thinking why did I go out that night rather than sleep? So, my first observation did happen on 01/01/2012. How do I remember this? 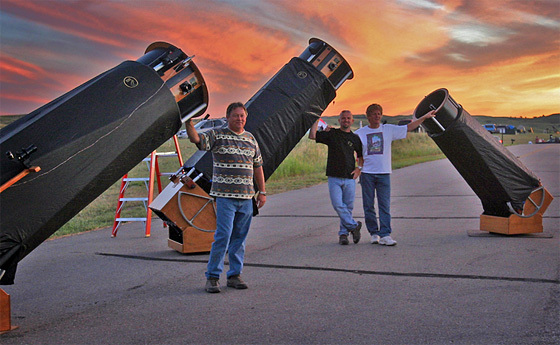 I think reading a review somewhere I came upon the advice that if you are entering this amateur astronomy hobby, ever if you are observing even for a few minutes , just record the observations. It would help you a lot. Personally, while reviewing at my log notes in my personal diary, I looked foolish of what I had logged as my first observations, but it was so interesting that an amateur as me brought in my own astronomy definitions on my first time to the already defined observable universe. Nevertheless, the first observation remains the best and the most memorable. Perhaps this is why I am so much in love with Alnitak, Alnilam and Mintaka. These three prominent stars inthe central regions of the constellation of Orion align to form the ‘belt’ of the Hunter. And surprisingly the whole world is also. 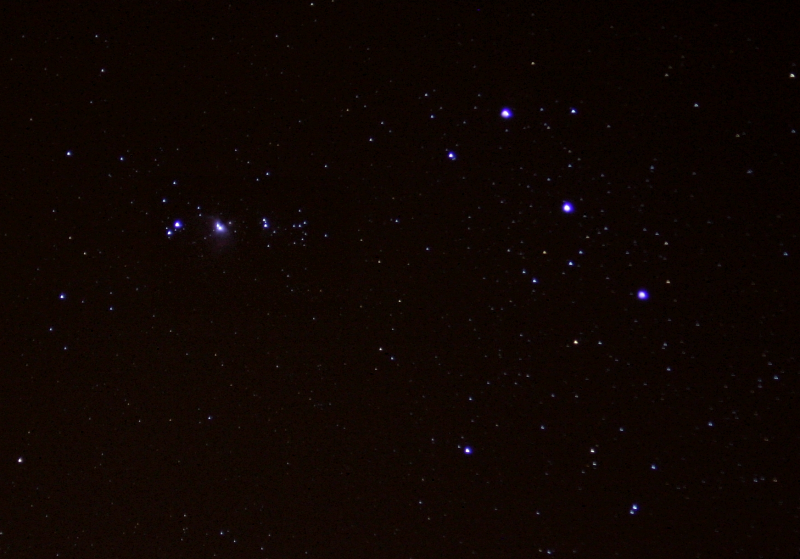 Take any beginner’s guide to the sky, they would talk only Orion,Orion, Orion. I didn’t know about Orion or its belt, but perhaps this was a sign from The Creator that this is where you should start your journey to the universe. There is so much I have learned about these three that I am baffled and there is still more to come. Standing towards the west, I saw this magnificently in front of me. What I actually wrote as observational notes? I also drew the dots in a diary. What makes me foolish looking now is that I called the Orion belt as the axe’s blade and the Orion Nebulae as the axe’s handle. 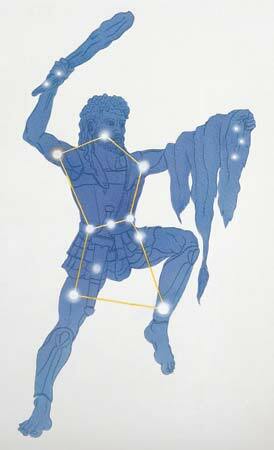 Hey, if the Greeks can make out Gods out of stars why can’t I make my own Axe? So, I have already fallen in love with the sky, what are you waiting to raise your eyes to the beautiful night sky? Reading an article on beginners in amateur astronomy, I came to understand that my search for telescopes is not at the right time. Telescope will not allow you or put you on the night viewing passion, but rather not knowing its efficient use may also lead its place to the closet. Usually it is advised for any requiring hobby to start on by buying this or buying that. I was rather astonished to the fact that most experienced amateur astronomers usual first time advice is to get familiar with the night sky, with the constellations and with the stars before buying anything. (As if they know, that once you get in this field then your aperture fever or drooling on the latest equipment never dies). Therefore, I took the advice to buy a binocular first rather than buying the telescope. And in fact the next day, I went to buy my first binoculars. A 10 x 50. Explanation to what is this 10 x 50 is given in the following youtubes. I like this guy’s simple explanations. But my astonishment found no bounds when you come to know that binoculars are not only this size but can they be larger or bigger. As to be said, the nerd notion was a bit less understood, so this post is an upgrade of nerdiness to be found in the amateur astronomy world. Browsing through the internet you find a lot but, which marks your interest may be only a selected few. I regret the fact that there are others who call these people nerds or fools but I would rather call them enthusiasts. You don’t even understand or need to understand the love they have for the night. So, what do you say now, A good pair of Binoculars or Binoscope? 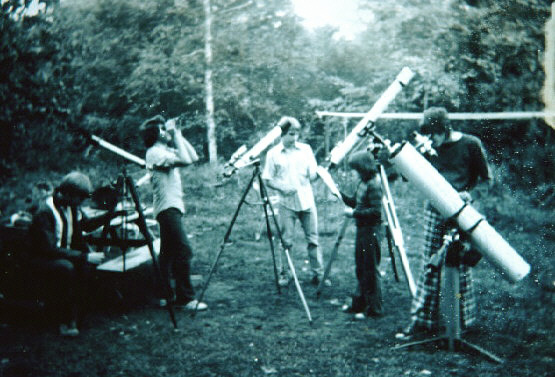 to see the night sky as a hobby and then to build a whole observatory in his backyard. I felt that this is something weird. “All Americans are weirdos”. In our part of the world people don’t become so much weird. But….. I was to be proved WRONG!!! Actually following the beginners telescope advice I made up my mind that I should obviously have an Orion SkyQuest XT8 Classic Dobsonian Telescope But later (in the later months of research in the amateur astronomy world) in my quest to buy my best first telescope led me to find weirder people in the astronomy field who are not mad about telescopes but OBSESSED about TELESCOPES. And here I bumped up on to OBSESSION Telescopes. 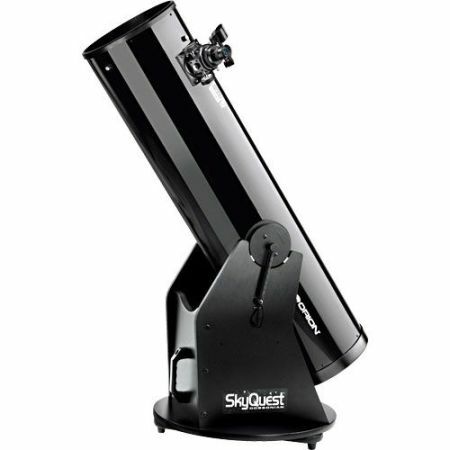 the Orion XT10 Classic Dobsonian Telescope. And then one day or the other to have one Obsession Telescope for Life time use. Hope this child wish realises.